What if they decide to do this and start robbing people? I can see it coming. Citizen37082, D3VILSR3J3CT, Frigg, last one, Moon Rocks, oldcynic, Sassy, sivil, SlowLoris, Sugar_Lips, Wingsprint likes this! I couldn't tell who had the traffic stopped? What were they doing? I just watched the last video. Who are they and why did they do that? Citizen37082, D3VILSR3J3CT, Frigg, sivil likes this! (02-11-2019, 03:02 AM)Sassy Wrote: I couldn't tell who had the traffic stopped? What were they doing? I think their goal was just to shut the interstate down. IDK. The second video shows them planning. Citizen37082, Frigg, Moon Rocks, Sassy, sivil, Sugar_Lips, Verity likes this! A friend of mine works two exits down from this location. (You can see the TA truckstop sign in the video) Anyway, he got caught up in a gang shootout one morning coming home from work. His car had so many bullet holes they totaled it. I have some pics somewhere. Nashville is getting like any other big city. Such a shame. Apache54, Citizen37082, FlyoverCountry, Frigg, Moon Rocks, Sassy, sivil, Sugar_Lips likes this! All they need to do is close down a few key choke points and everything grinds to a halt. Travel at night off the beaten path on alternate transpo. 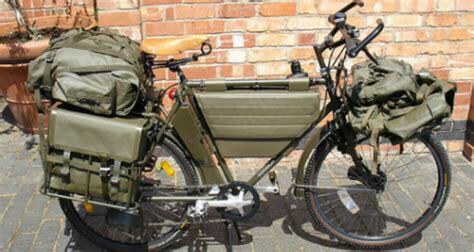 My buddy has an E Bike that would be swift and silent, ridiculous torque... A bit heavy but far less than a motorcycle. 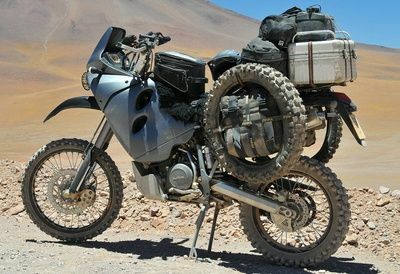 I think a reliable older MX bike retrofitted with heavy-duty shocks and suspension might be sweet. I have an old Mountain bike like the Police used to use here. Solid and dependable. I got it from a friend who rode serious off-road constantly... He went with a lighter titanium bike. I got a great deal. I lined the tires with green slime rubber down the centerline of both tires. Apache54, Capnron, Catch, Citizen37082, D3VILSR3J3CT, FlyoverCountry, Karu, Lily, Moon Rocks, oldcynic, Sassy, sivil, Verity likes this! Apache54, Catch, Citizen37082, D3VILSR3J3CT, Flatland Hillbilly, Fly on a wall, FlyoverCountry, Frigg, Heir, Karu, last one, Lily, Moon Rocks, oldcynic, Siriusly, sivil likes this! (02-11-2019, 03:39 AM)Frigg Wrote: All they need to do is close down a few key choke points and everything grinds to a halt. I’d have to really be in fear for my life to get on that second one. That’s one ugly MF. Catch, Citizen37082, D3VILSR3J3CT, Fly on a wall, Frigg, Moon Rocks, Rembrandt, Sassy likes this! That’s why this site is cool like the morning breeze. Information...I guess the MSM would like to classify this as fake news. We are the news now aren’t we? Catch, Citizen37082, Fly on a wall, Frigg, Kraut the Rebel, Moon Rocks, MysticPizza, Sassy, sivil, Verity likes this! Apache54, Capnron, Catch, Citizen37082, Flatland Hillbilly, Fly on a wall, FlyoverCountry, Kraut the Rebel, Moon Rocks, MysticPizza, Pure Rock fury, Sassy, Siriusly, sivil, SlowLoris, Verity likes this! Capnron, Catch, Citizen37082, Frigg, Moon Rocks, oldcynic, Sassy, sivil likes this!